There is nothing better than a well seasoned slice of roast beef. 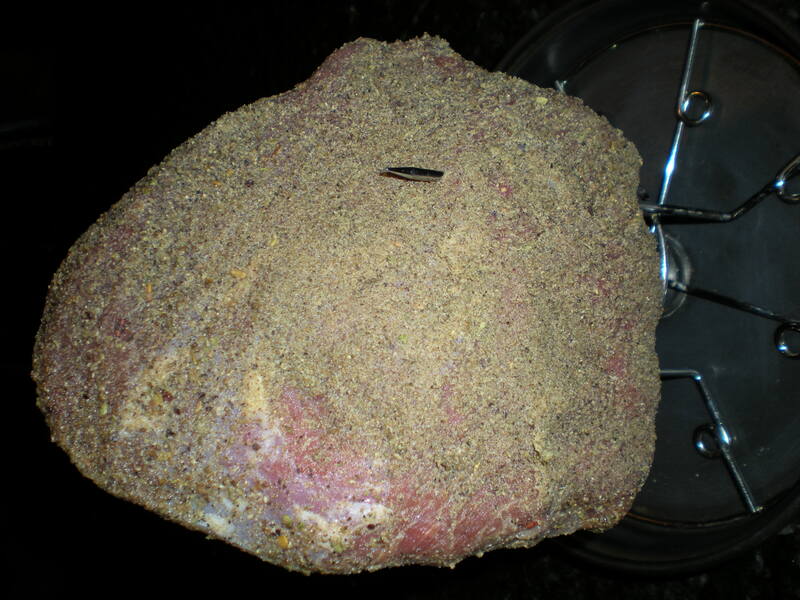 I found a recipe a few years ago that listed spices for a Standing Rib Roast and it was the best I had ever tasted. I’ve altered the recipe slightly to include seasoning the beef 24 hours prior to roasting. I think the roast tastes much better and the spices come through in every bite. The first part of the recipe focuses on the seasonings, which I’ve also used on pork roast and even chicken. This seasoning mix makes a lot, so keep it sealed until you need it for the next recipe. One last thing … this recipe calls for a standing rib roast. You can also use it for a boneless round roast of beef, just know that this cut is not typically as tender. Mix all seasonings together in a seal proof container. Here is a picture of the 4 lb. boneless roast I made this weekend. You can see that it is heavily seasoned, which is why the flavors come through with roasting it. I also used my countertop rotisserie versus an oven roast. Regardless, don’t be afraid to season the beef! Again, for the best results season the roast 24 hours before roasting it. Wrap it and chill it until ready. Directions: Preheat oven to 400 degrees. Place roast on a rack in a large open roaster. Roast 1 hour, reduce heat to 325 and continue to roast for 30 minutes. Turn off the heat and allow the roast to stand for 20 minutes before slicing. Note: I use basically the same roasting instructions when using my countertop rotisserie. This should come out as medium to medium rare. I just bought my rotisserie and can’t wait to try this recipe!